Rare Striated Plate Gold Nugget - - It's Free! This is a very unique and rare striated crystallized plate Gold Nugget Specimen from the Round Mountain Mine in Nevada. 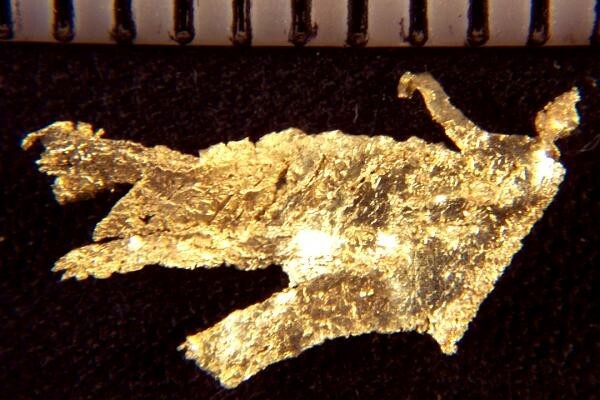 In this very interesting gold specimen the gold is formed in thin plates which are striated and twisted into a very unique geological formation. Round Mountain is known for it's unique crystalline gold nuggets. 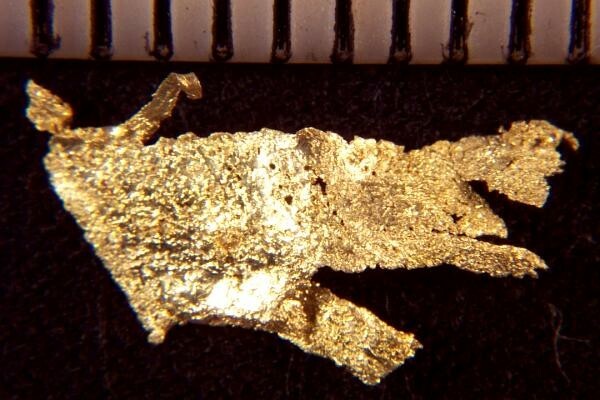 This gold nugget specimen is 1/2" long and comes in a plastic gem jar for display.